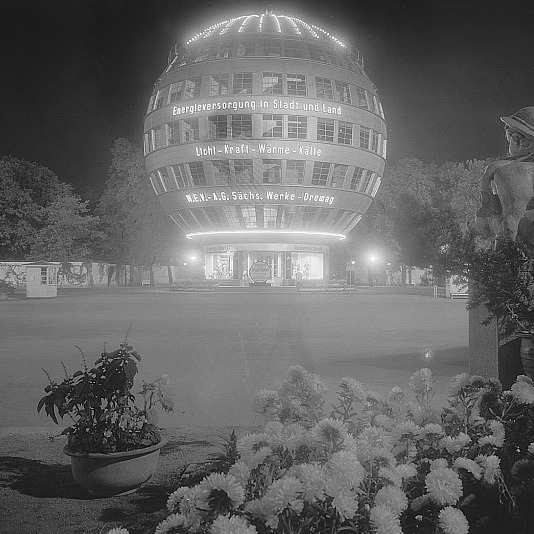 Constructed to the centre of the German city of Dresden’s exhibition grounds, the Kugelhaus was an early (if not the first) adopter of the spherical form that would become popularised with the advent of the Atomic Age in the decades to come. Sitting atop a cylindrical base, the sphere initially housed showrooms for industrial products and was fairly expansive with 6 floors and a 24m diameter facilitated by steel construction clad with sheet aluminium. Demolished in 1938.